Pregnant? Congratulations! I know firsthand how rough the first trimester can be, what with the fatigue, morning sickness, nausea symptoms and general overwhelm. Fear not! 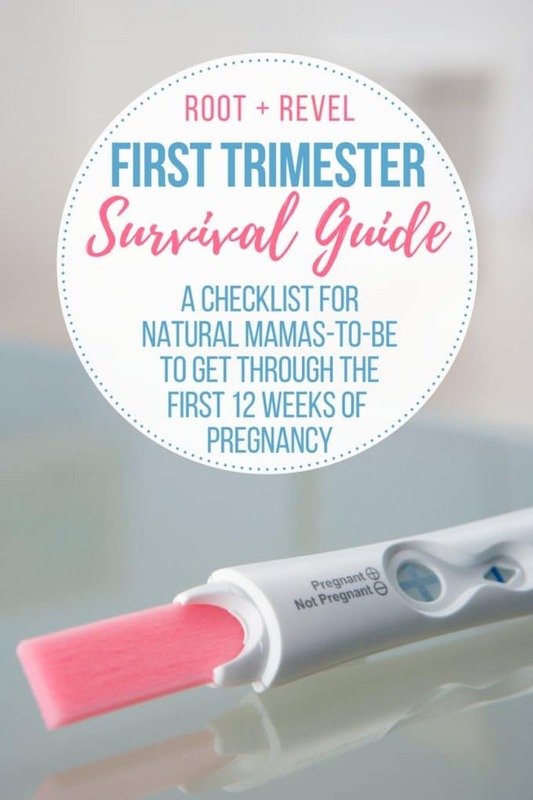 This First Trimester Pregnancy Survival Guide will provide you with tips, tricks and product recommendations (from books and prenatal vitamins to diet and self-care advice) to help you get through this exciting, and difficult, time. The perfect checklists for natural mamas-to-be! SURPRISE!! I am so beyond thrilled to announce that Matt and I are expecting a baby boy in September. It has been damn near impossible to keep this from you guys–there have been so many things I wanted to share, so many questions I wanted to ask my fellow mamas, so many times that I almost let it slip by accident. But we wanted to wait until our 20-week anatomy ultrasound to ensure that everything was A-OK with our little guy and I’m so happy and fortunate to say that he’s healthy and growing and as cute as a little alien-like ultrasound image can possibly be. So, with all that being said, I thought it would be helpful to some of my other natural mamas and mamas-to-be out there to share what got me through the first trimester, because let me tell you, it was no cake walk. But before we get into that, I want to give y’all this disclaimer. Yes, I’m pregnant. Yes, I will be having a baby. 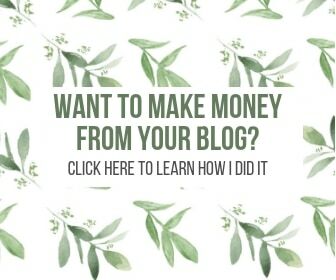 No, this blog will not become a mommy blog that talks about nothing but babies and parenting and diapers. But yes, I do plan to share some prenatal/pregnancy/maternity/baby tips, tricks, advice and product recommendations moving forward. 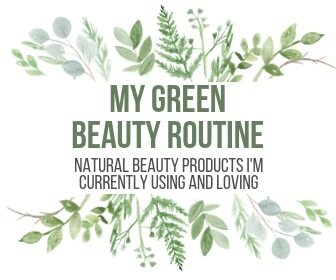 There will still be plenty of real food recipes, green beauty advice, holistic health tips and all the content you’ve come to know and (hopefully!) love on Root + Revel, but there will be some baby stuff thrown in, too. Oh. My. God. The first trimester is hard. Personally, I had horrible vertigo and it felt like I was always wearing somebody else’s glasses…the dizziness was rough. I was also beyond tired. In fact, I really couldn’t believe how drained, fatigued, and just spent I was all the time, no matter how much I slept, for nearly 12 straight weeks. Growing a human is HARD WORK. So the first, and easily most important, thing that got me through the first trimester was rest, rest and more rest. The debilitating exhaustion is no joke and I took many a mid-afternoon nap and/or 8 p.m. bedtime during those three months. In addition to fatigue and vertigo, I was also pretty nauseous. But it was weird–I never got physically sick (thankfully), but instead, I had a really hard time eating because everything (including my favorite foods) sounded absolutely disgusting. And don’t even get me started on smells. 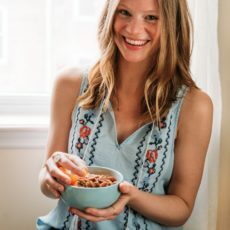 The blander the better–there were a lot of bagels and cream cheese in my life this winter–and anything hot was off limits (coffee, soup, cooked vegetables, even meat). All I wanted was ice cold, crisp, sour and refreshing foods like citrus, pickles, ice cream and cold cereal. Give me carbs or give me death. Pregnancy cravings and aversions are real! Keeping that in mind, and knowing that in my normal life I am extremely health-conscious and eat a very nutrient-dense, low-carb, low-sugar diet, this pregnancy has been tough on me. And after talking with my friends, family and doctors, I know I’m not alone in this struggle. So here are the things that got me through this time, My First Trimester Survival Guide, if you will. Note: not all of these things are healthy and pure, but at a certain point you’ve got to do whatchyou’ve got to do. Pregnancy Books: I know there are some classics like What to Expect, but after paging through that monstrosity, I realized that this book (and most other pregnancy books on the market) was not for me. I am not interested in fear-based recommendations. I’m looking for evidence-based facts and science. I am not interested in one-size-fits-all, population-based pregnancy advice. I’m interested in resources that empower me to make my own right choices, that call on my own intuition, and that explain the reasons why you should/should not do something based on data, not panic. I am not interested in a giant rulebook of things I can’t do during these 9 months. I want to know the issues that really matter (hint: it’s not turkey sandwiches or coffee). I want a reassuring tour of pregnancy and childbirth that makes me believe I can actually do this. First Trimester Pregnancy Diet: I’ll be honest, my normal anti-inflammatory, nutrient-dense way of eating didn’t exist much in the first trimester. 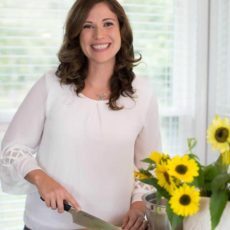 And my naturopath is actually the one who helped me be okay with that–she explained to me that listening to my body was most important (it, and my baby, would tell me what I really needed), that there were scientific reasons for my cravings, and that I just needed to do the best I could and accept that there is no such thing as perfect. Ginger Ale: Everyone knows that ginger settles an upset tummy, but when I read the ingredients and amount of sugar of most conventional ginger ales I wanted to run away screaming. So I set out to find a sugar-free, non-processed ginger ale and came across my new favorite brand: Brooklyn Crafted Extra Spicy Sugar Free Ginger Beer. Don’t be fooled, this ginger beer is non-alcoholic and made with pure, real food ingredients like Carbonated Water, 100% Fresh Ginger, Organic Ginger Extract, Citric Acid and Organic Stevia Leaf Extract. With only 10 calories per bottle, this was one nausea-reducing drink I could actually feel good about drinking. You can buy it at Sprouts, Fresh Market or online. I bought mine from TalDepot. Sparkling Water: When I wasn’t drinking ginger ale or guzzling filtered water (who else was beyond thirsty during their first trimester? ), I was sipping refreshingLemon La Croix. At first, this craving for tangy bubbles looked like Sprite. But when I saw the #1 ingredient was high-fructose corn syrup, I knew that wouldn’t do. Lemon La Croix tastes surprisingly similar, but without all those nasty additives and artificial sweeteners. Boxed Mac & Cheese: Like I said, not everything on this list is healthy, per say. But when the last thing you feel like doing is cooking, and you’re craving carbs, boxed mac & cheese is where it’s at. I tried half a dozen different varieties and found that I didn’t like the powdered cheese as much as I liked the squeeze packet cheese. Horizon Organic Cheddar Cheesy Deluxe Mac & Cheese was my favorite, and Earth Fare also has a store brand organic mac & cheese that was delicious! I tried to keep the ingredient list short, organic and made with grass-fed real cheese and milk. Now keep in mind, I’m not trying to pretend this was the healthiest choice. This is a processed food and as such, certain additives like Canola Oil, Sodium Phosphate, Natural Flavor and Organic Guar Gum are included in here. To up the nutrition ante, I always mixed in organic peas, spinach and even carrot or butternut squash puree, so I was at least getting some veggies. Fruit: Cold, sweet and sour. That’s what I wanted during the first trimester, and so I ate tons of apples, bananas, and all the citrus. I went through A LOT of clementines and oranges during the first trimester, so at least I can feel good about that balancing out all the cheesy pasta I also ate. Cereal: Oh man, I haven’t had cereal since I was in high school. But around week 8, I got a mad craving for carbs covered in ice cold milk. Of course, conventional cereal is loaded with sugar, artificial colors and flavors, and other nasty additives. So I tried to find healthier versions. 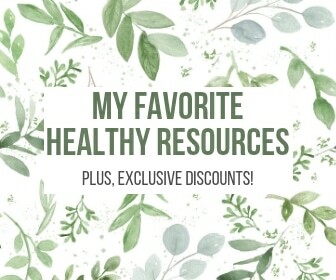 My favorites: Envirokidz Organic Gluten-Free Peanut Butter & Chocolate Leapin’ Lemurs, Cascadian Farms Organic Graham Crunch and their Cinnamon Crunch cereal. Always with Organic Valley Grassmilk, Whole. Ice Cream: It’s true what they say–pregnant women love their ice cream. My addiction during the first trimester: Häagen-Dazs Trio Coffee Vanilla Chocolate Ice Cream. I know, it’s not organic, it’s not dairy-free and it contains real sugar. But what I loved about this ice cream (other than the obvious deliciousness!) was that the ingredient list was short: cream, skim milk, cane sugar, egg yolks, vanilla extract, coffee, coconut oil, whole milk powder, belgian unsweetened chocolate, cocoa butter, soy lecithin, vanilla extract. At least I know what all of those ingredients are. Nadamoo and Revolution Gelato are great dairy-free options, too. Food Delivery: Did I mention that I had ZERO desire to cook during the first trimester? I think I single-handedly kept UberEats in business during those 12 weeks. For everything else, I relied on Instacart + Thrive Market to deliver my groceries to my doorstep. Easy peasy! 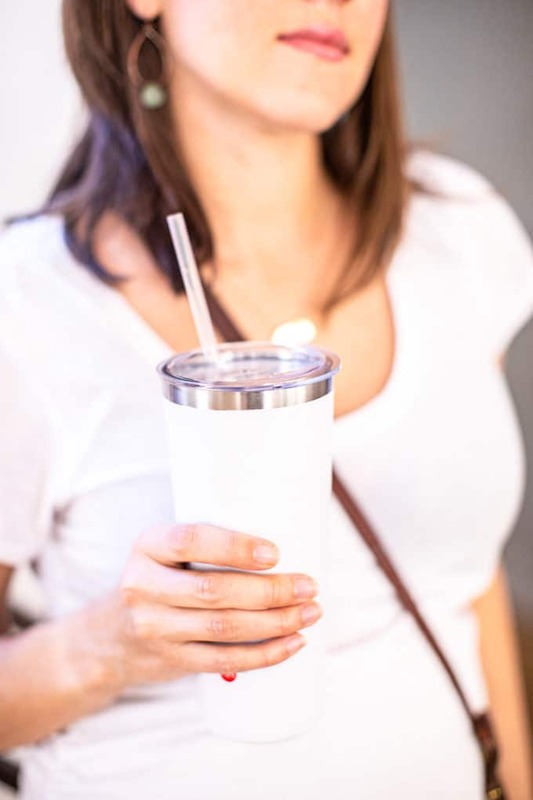 Stainless Water Bottle with Staw: Hydration is SO important when you’re pregnant, and my naturopath encouraged me to drink from a straw, as studies have shown people drink more water out of a straw than a bottle. So I bought SimpleHH Stainless Steel Tumbler with Lid and Straw and kept it filled constantly, striving to drink at least four per day. Worked like a charm! 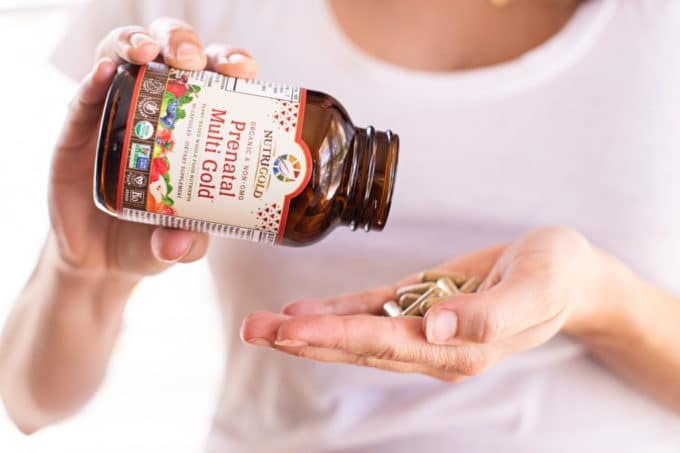 Supplements: In addition to taking my prenatal vitamins, I also took Pure Encapsulations Probiotic 50B and Green Pastures Fermented Cod Liver Oil to help keep me and my baby healthy. Maternity Bras: If you’re like me, your breasts will likely change quite a bit during this time. Don’t wait to invest in a maternity bra until you’re nursing–having a bra that fits your new size and is comfortable about your expanding rib cage is key. I’m obsessed with the Motherhood Full Coverage Back Smoothing Nursing Bra, which has an extra wide, seamless band to banish back fat! Organic Belly Balm: As your belly and breasts grow, stretch and itch (yes, really! ), it’s so important to use a moisturizing belly balm to prevent stretch marks, soothe irritated skin and generally keep ya moisturized. My favorite: Midwife and Mum Tummy Butter. Gentle Skincare: With all the extra hormones, it’s only natural for your skin to take a hit. So if you missed the pregnancy glow and went straight to teenage boy acne (like me! 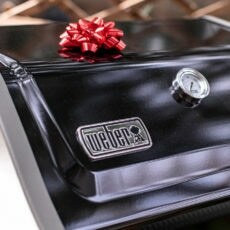 ), this one’s for you. 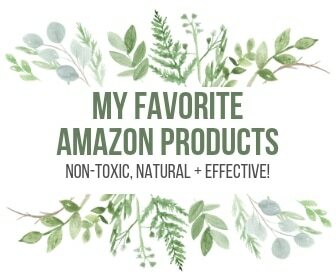 Instead of drying out your skin with harsh topicals that have been proven to cause birth defects, check out True Botanicals Pregnancy Line and Acure Organics Sensitive Skin Cleanser. Maternity Jeans: So, most women don’t really start showing until the second trimester. But I started showing around 10 weeks. And before that I just felt fat, bloated, puffy and like I ate too many tacos (which I probably did!). Don’t wait to make the switch to maternity clothes. I went to Target in my first trimester, and after slipping into a pair of their comfy and affordable maternity jeans, immediately got a huge self-confidence boost. I went from feeling like I was busting out of my clothes to feeling like the adorable pregnant mama I was. I also loved the super soft and chic maternity tops at Destination Maternity, which has so many great sales! Gentle Exercise: Workout while pregnant? Ha, that’s hilarious. I barely had the energy to put on pants, let alone go to the gym. So instead I did some light yoga and stretching at home, and took my puppy for leisurely walks around the neighborhood. It wasn’t always easy to get myself moving, but I always felt better after I did. Are you pregnant? What go you through the first trimester? PLEASE share in the comments below so we can all help each other during this exciting, exhausting, overwhelming, joyful and difficult time! Congrats and best wishes, Kate! Congratulations Kate! No doubt you will be a great resource for many other pregnant gals wanting to do it all more naturally. I’m beyond that stage now but still look forward to following along! CONGRATULATIONS! You look so radiant and have that pregnancy glow!! 😀 So happy for you and I’m sure this will be a great resource for many mamas-to-be! So, so excited for you, Kate, and what a beautiful pregnant lady you are! Xoxo.